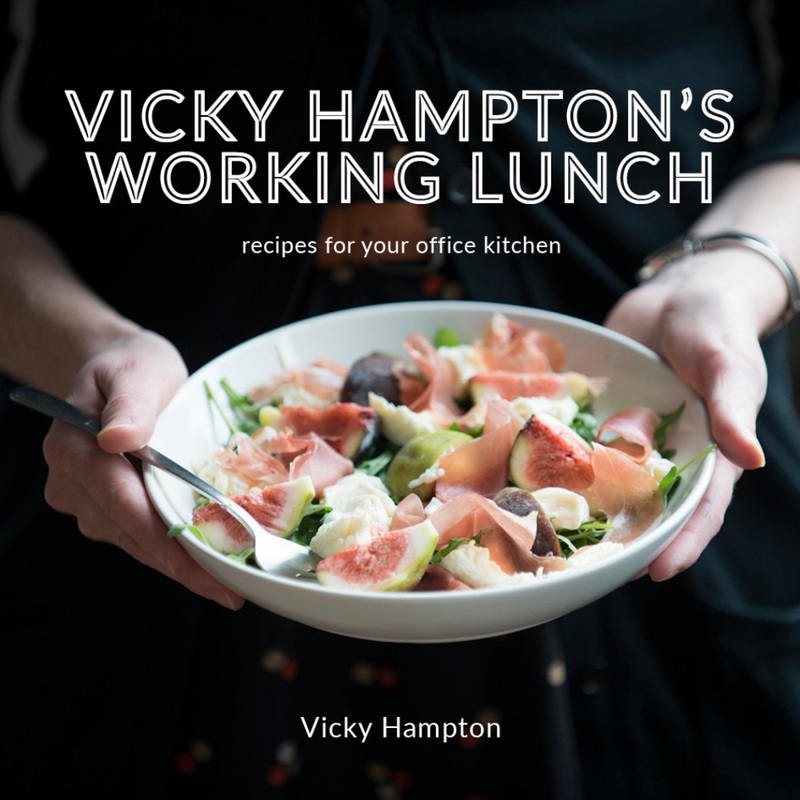 E-Cookbook: Vicky Hampton's Working Lunch - buy it here! Bored of overpriced ham-and-cheese sandwiches and packet soups from the canteen? If your workplace has a surface big enough to fit a chopping board, and perhaps a kettle or toaster at best, Vicky Hampton’s Working Lunch is here to help. This e-cookbook is for people who are keen to make healthy, simple lunches, but who don’t have the time to spend hours in the kitchen – whether at work or at home. The book features 50 easy lunch recipes (in English) covering fresh vibrant salads, cool summery soups, spicy couscous and pimped-up sandwiches. 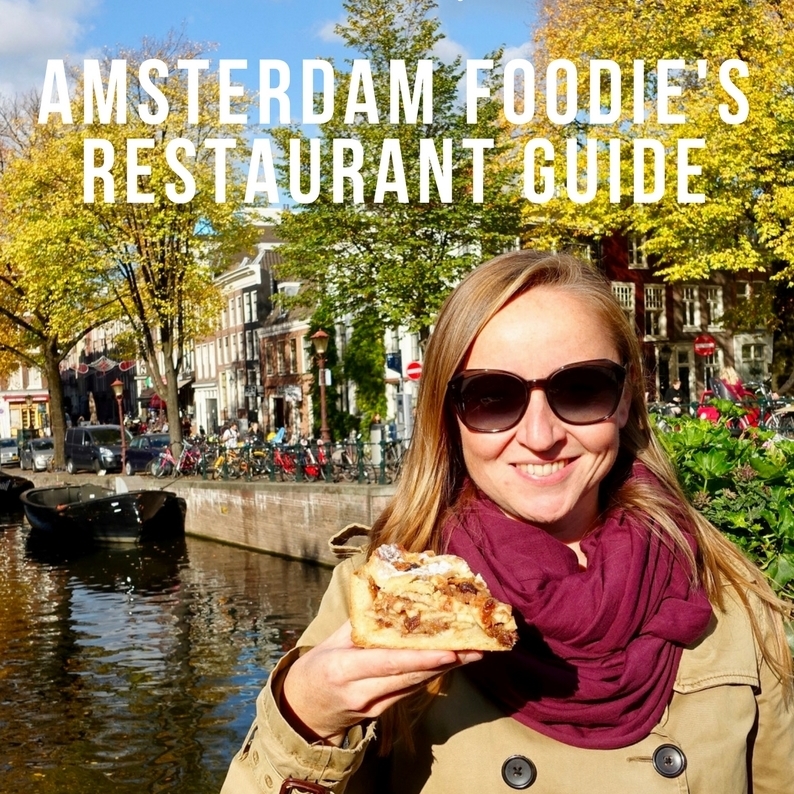 This e-cookbook version is available as a PDF so you can easily use it on your computer, phone or tablet at work! Prefer a printed copy? 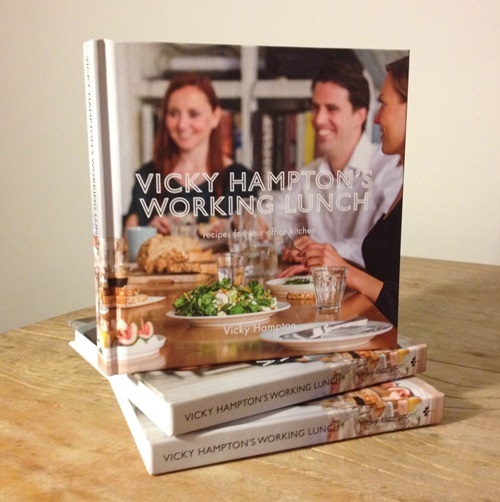 You can buy Vicky Hampton’s Working Lunch as a hard-cover printed cookbook too! The kitchen kit – a chopping board and a knife are really all you need, but the book also contains suggestions for other simple equipment you can use in your office!